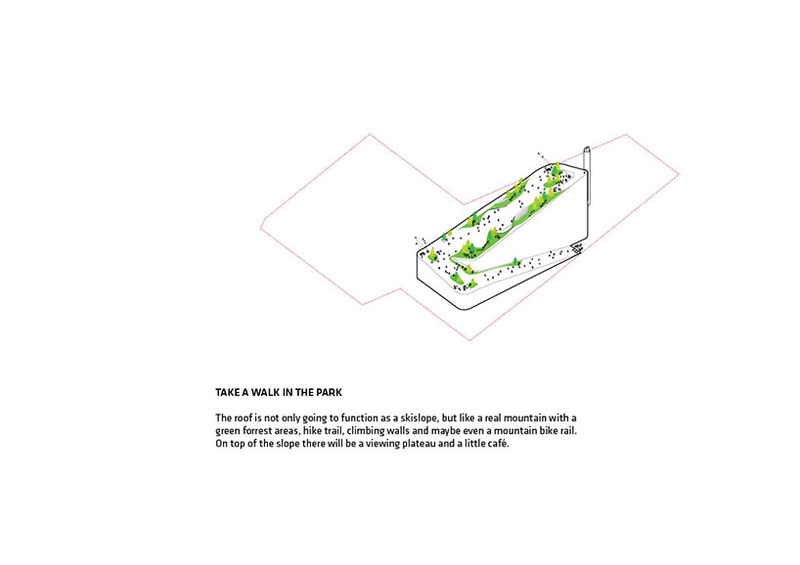 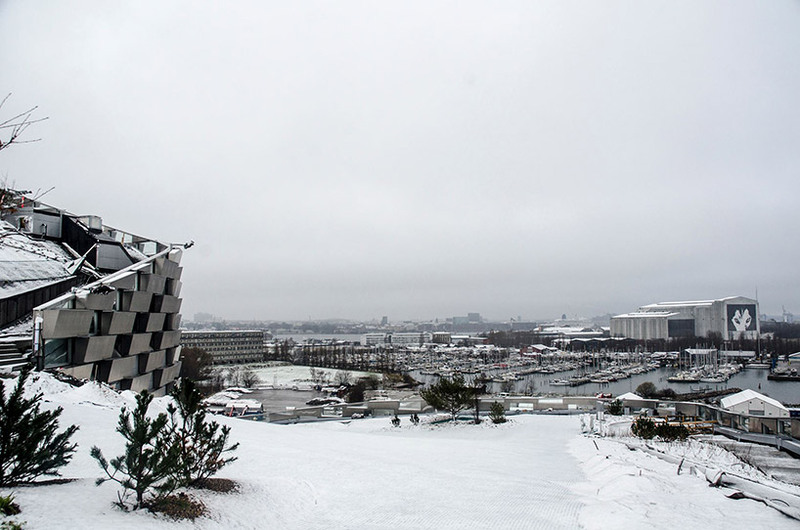 ‘save your ski gear for one of our most anticipated buildings set to complete in a few short months in copenhagen,’ was the message BIG – bjarke ingels group posted on instagram to announce the test of the lower ski slopes of the amager resource centre (ARC) which hosts the copenhill urban mountain. 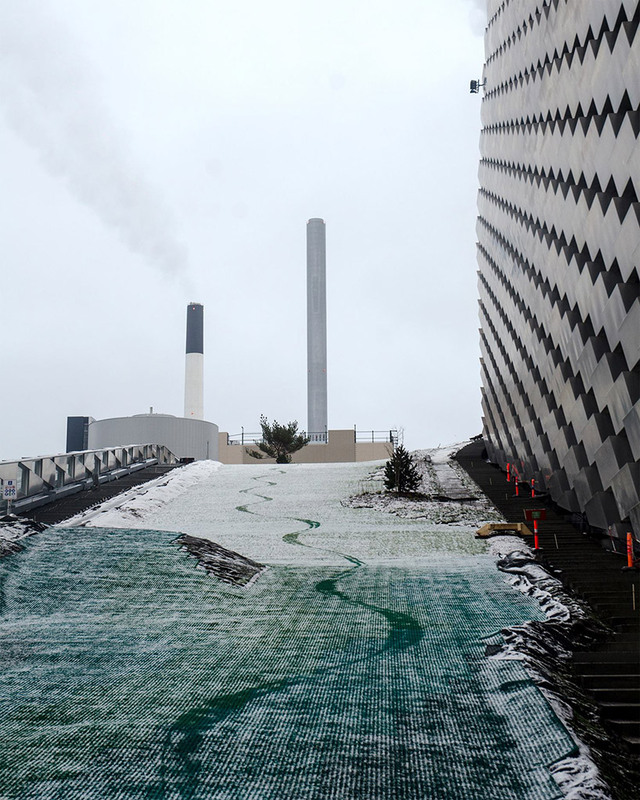 the project — which broke ground in 2013 — is a waste-to-energy plant that responds to ingels’ philosophy of hedonistic sustainability or the idea of saving the planet while having fun doing so, as stated by the guardian. 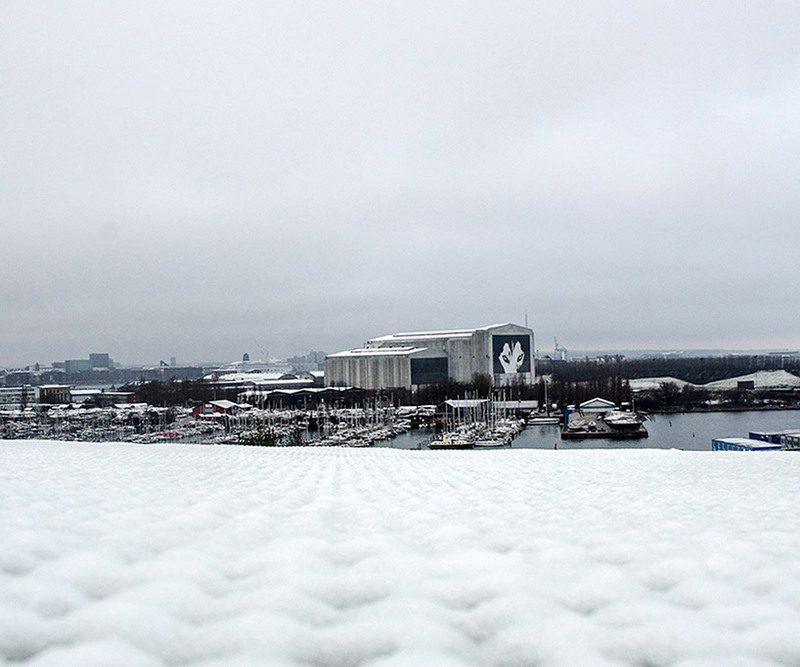 after five years of waiting, copenhagen’s citizens and visitors will soon be allowed to rush down the slopes of the city’s latest landmark — the amager resource centre together with the copenhill urban mountain by BIG. 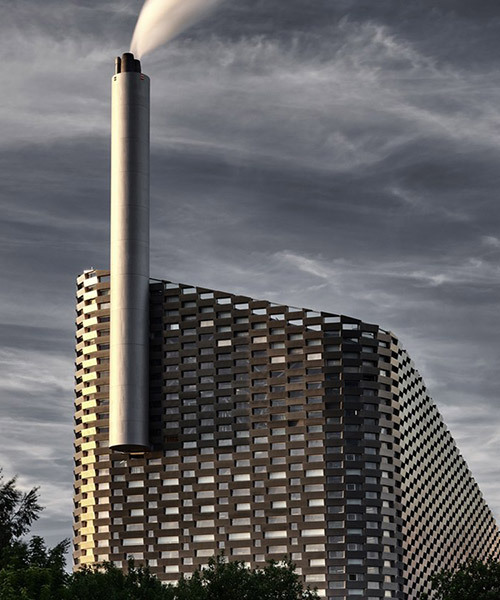 the socially-charged structure not only adds an artificial mountain to the naturally-flat country, but also raises awareness of sustainable energy by including a smokestack that releases smoke rings into the sky. 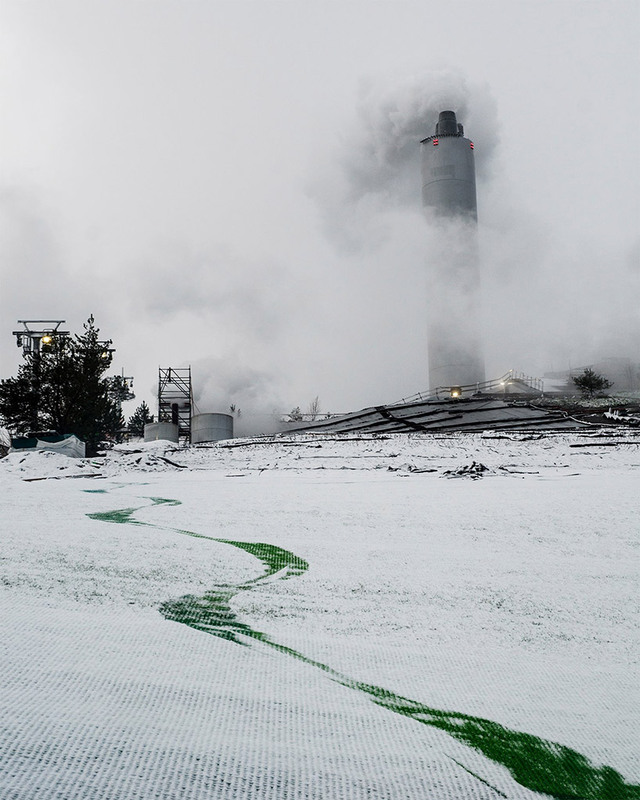 these are activated whenever one ton of fossil CO2 is released — a signal that serves as a communicative function that reminds the viewer of the impact of consumption. 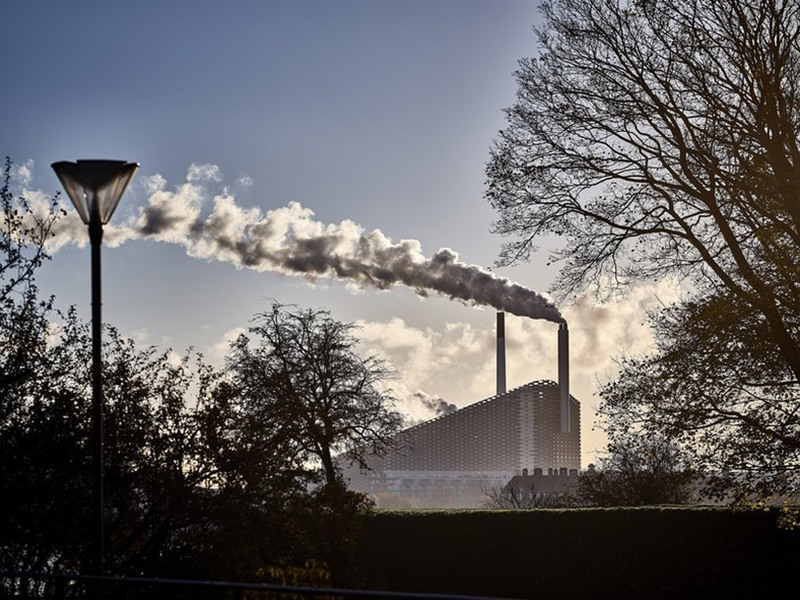 ARC is one of the steps towards copenhagen’s goal of becoming the world’s first carbon neutral capital. 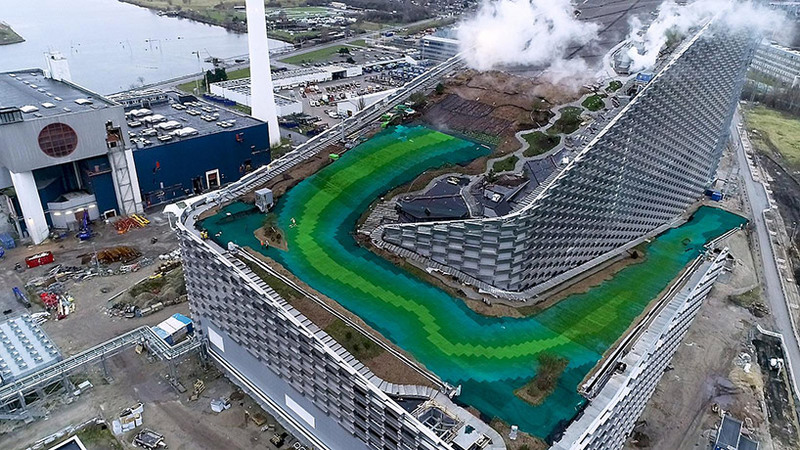 inside, the building is able to convert 400,000 tons of waste each year while providing heat to 150,000 households and low-carbon electricity for 550,000 people. 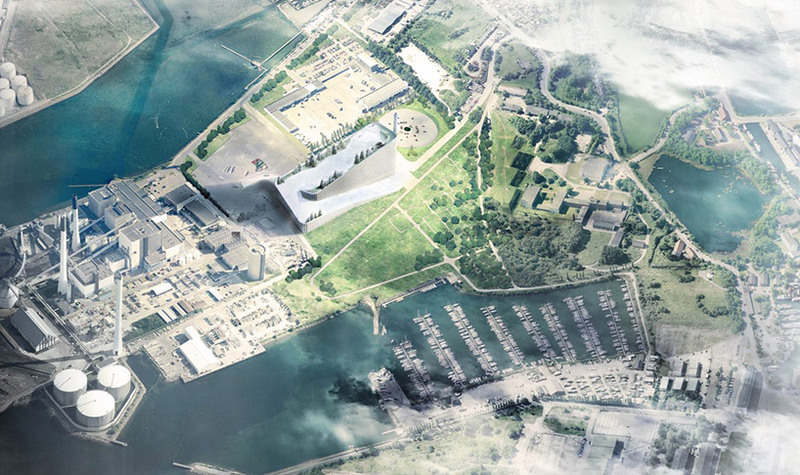 overall, the amager resource centre in copenhagen is one of the best examples we’ve seen of how architecture can respond to both sustainable issues and to the needs of a community.